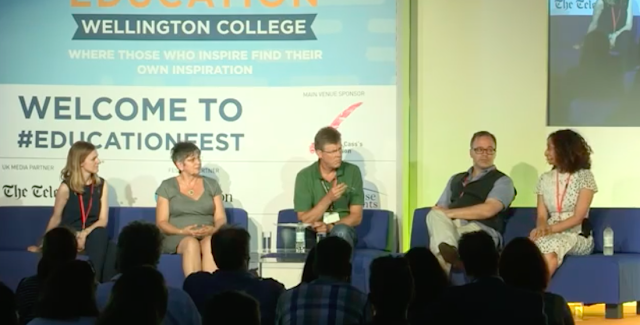 I took part in a fascinating panel for the Wellington Festival of Education last week. Myself, Laura McInerney, Maria Arpa and Katherine Birbalsingh were quizzed about behaviour in schools (watch it here). Within about two minutes lines were drawn and it was game on. Of course any attempt to reduce anything as complex as human behaviour to a coin toss of possible answers risks bleeding it dry of the complexity that makes it a conundrum rather than a pop quiz. Do what you’re told, or do what you want? Compliance or defiance? Autonomy or lobotomy? A lot of debate about behaviour barrels around these poles like flies around a lampshade. They make better headlines than strategy.